So many women come to me and say, "Eyeshadow is too confusing. I'd rather not wear it!" Well, I'm here to assure you that wearing eye makeup can be fun and transformative. You don't have to mess around with 36-color eyeshadow palettes when you're starting out. What I'd recommend is cream eyeshadow since it's so easy to use and wears so well during the day with little effort. Revlon sent me their new Colorstay Creme Eye Shadow (P575) a few weeks back and I've been enjoying these A LOT. There are ten shades available ranging from neutrals to fun colors, with a tiny brush neatly stored inside the cap. At P575 you get 5.2 grams of eyeshadow in a glass pot (to keep it from drying out too fast) so the price is quite reasonable. Tati reviewed this before and - spoiler alert - she loves it! I agree with her review. These shadows are easy to blend and super long-wearing. I've worn the shade 715 on a 12-hour trip and it was still decent by the end of it. Not perfect, obvs, but it still looked presentable. The shadows start creasing by the six-hour mark but that's without any primer. Once this sets, it will take quite a while before it moves on my lids. I don't have super oily or sweaty lids though, FYI. I love how easy it is to work with this product. It comes with a tiny brush that clicks into place inside the cap, and surprisingly, the synthetic brush actually deposits and blends the cream eyeshadow nicely. If you know me then you know how much I hate useless applicators that exist just because. I was ready to write Revlon's applicator off, but it works well! I would still prefer to use a brush but the applicator is great to use on the go if you don't want to mess up your fingers. One thing I appreciate is how the cream gives you enough time to blend and layer it before drying up. You see, once it sets, that's it. The shades though, hmmm. I can only recommend a few because the rest are too sheer for my taste. They can be used to add a nice shimmery color to the eyes or even as an eyeshadow primer, yes, but I would mainly use these for quick but full eyeshadow looks. That being said, you have got to try out 710, 715, and 720. These are all excellent neutral-to-smoky shades that have good pigmentation in two quick layers. The other shades are disappointing. I do hope Revlon comes up with more pigmented colors because the formula is already good! What I like to do is apply a darker shade (715 for example) on my lids then sort of blend it out at the crease. Then I pop in a lighter shade like 730 on the middle of the lids to get a soft halo effect. That's what I did in the look below! I even have a live video of the full look if you want to see the process (go to 13:52 for the eyeshadow part). Overall, I highly recommend the Revlon Colorstay Creme Eye Shadow to anyone who wants to add gorgeous neutral shades on their eyes with the least amount of fuss. 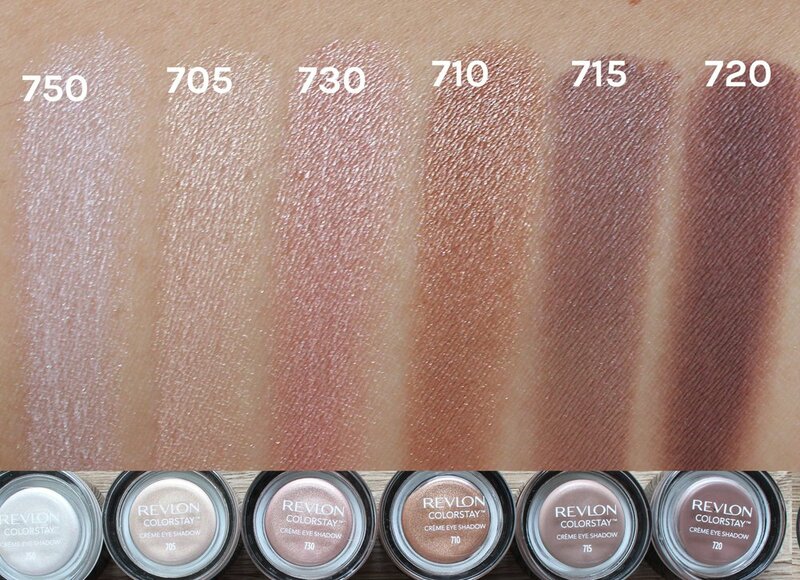 Get 710, 715, or 720 since these are the most versatile + pigmented. These remind me so much of MAC Paint Pots now that I think about it. 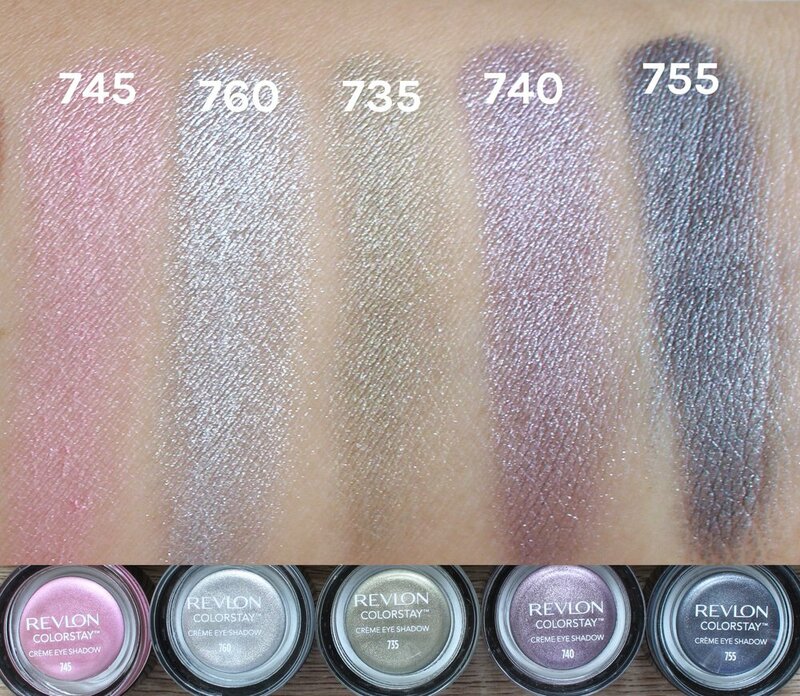 What do you think of these new Revlon shadows? 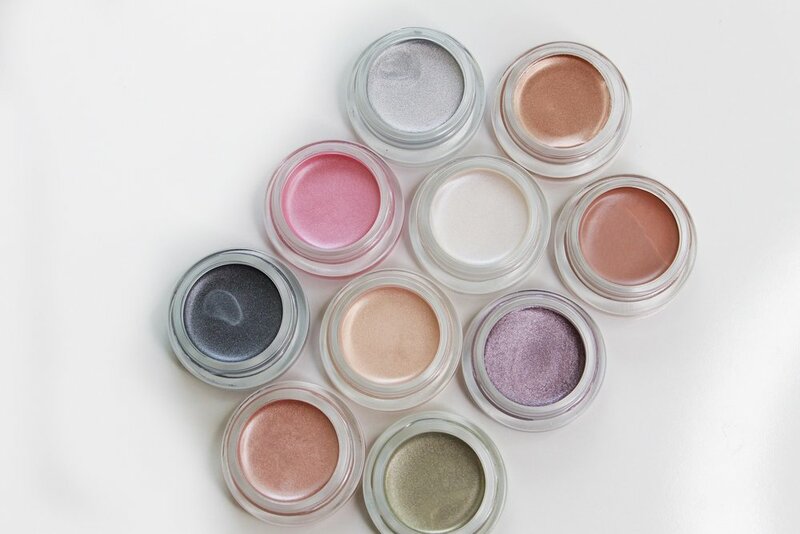 Do you use cream eyeshadows already, or are you rethinking them now? Essential or Excessive: Should you add an eye cream to your regimen?